Stress Less Color-By-Number Mandalas takes the guesswork out of creating stunning works of art. Each of these seventy-five calming designs is divided into sections with numbers that correspond to a specific color. Simply select the one you wish to complete, fill in each section with the corresponding color, and soon a soothing mandala will appear right before your eyes. It's a fun, easy way to de-stress and create amazing, frame-ready art. 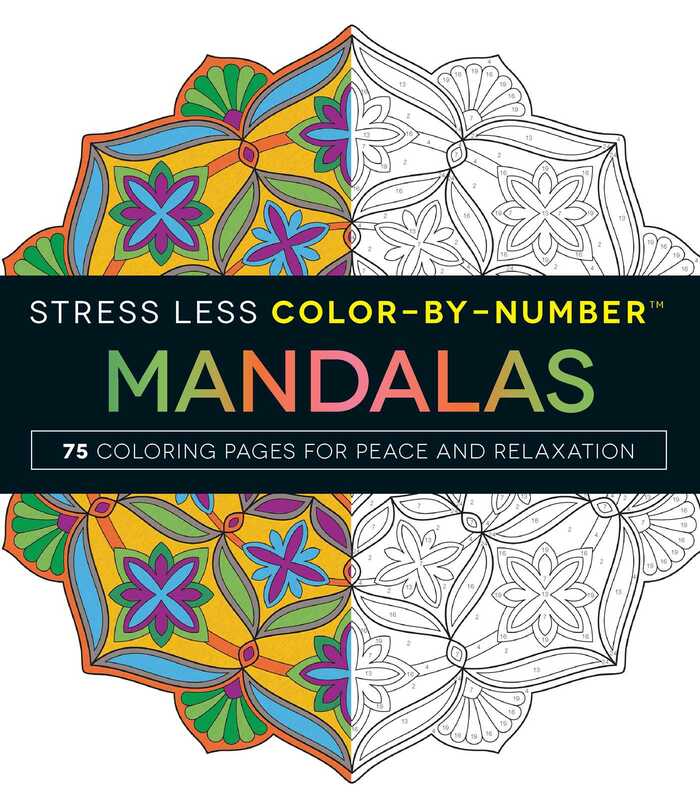 It doesn't get more beautiful--or more relaxing--than Stress Less Color-By-Number Mandalas! "The book gives you a color-by-number guide, taking the stress of selecting a color out of the process! You’ll be in a meditative state in no time."